Village Prime — Ashraf — product designer with optimism. 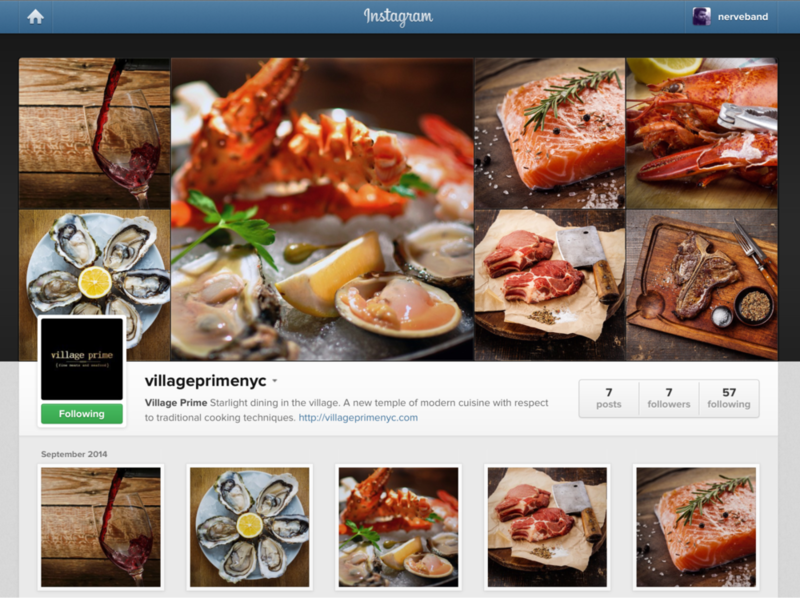 As a modern American steakhouse, Village Prime provided a fresh branding and design opportunity. For the new restaurant, I was responsible for copywriting, developing the branding, and designing the menus, window signage, and gift cards. I also developed the website and social media platforms. 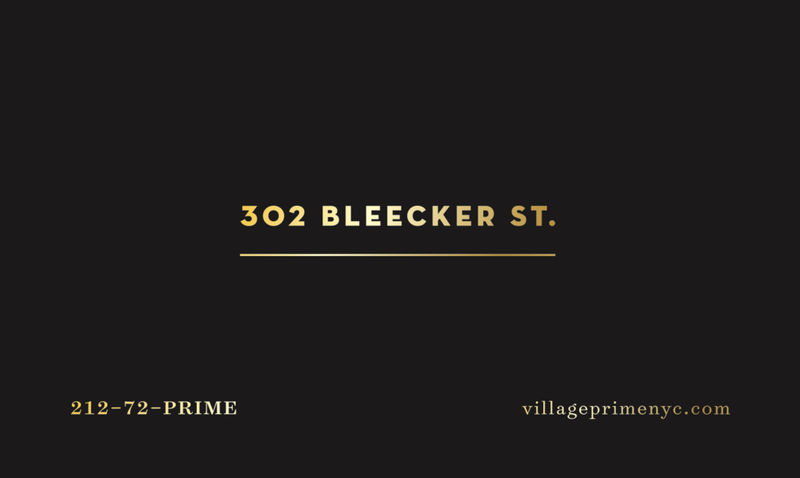 I first visited Village Prime in the West Village while it was under construction. It was the only steakhouse within a 15 minute walking radius. With a woodsy cabin atmosphere, classy furniture, and unique light fixtures, the ambiance was set just right for a modern steakhouse. As my first chance to place my mark on Manhattan, I was intrigued by the opportunity. 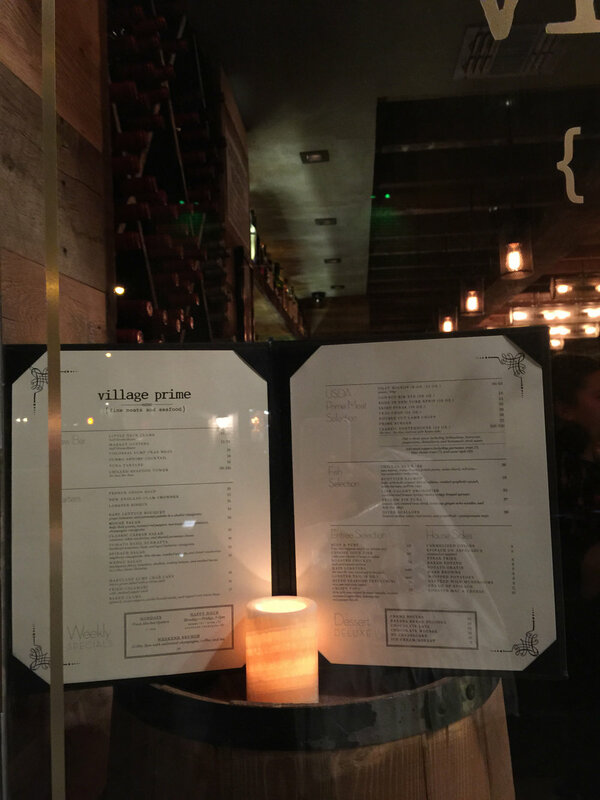 I wondered: How could I help differentiate Village Prime as a fusion between a traditional steakhouse and modern dining? And what would make this restaurant worthy of a celebrity entrance? "I want you to design all my work for the restaurant." As a one-man-army, I had to play multiple hats including copywriter, designer, and web developer. The list of tactical needs were dizzying including crafting a narrative and developing brand guidelines. 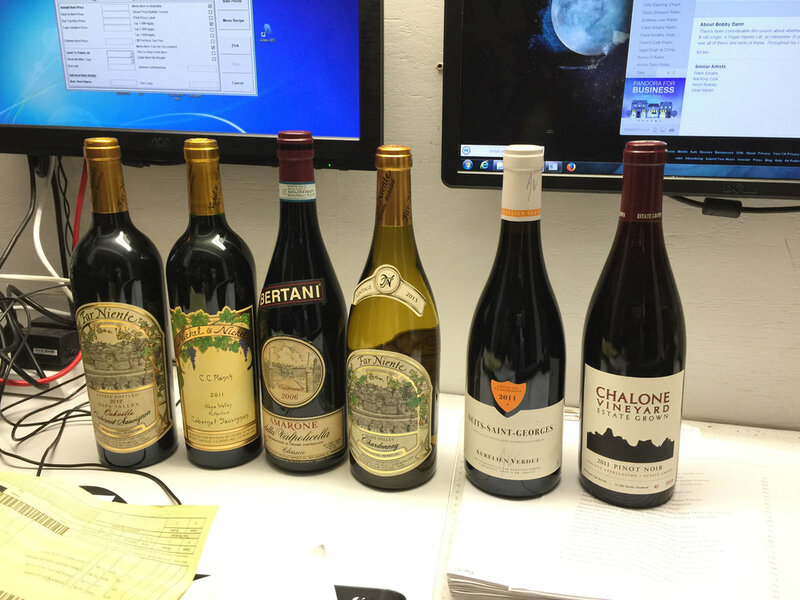 From the digital end, he also needed a website, a social media presence, gift cards, and an online menu. And for print, he needed window signage, menus, business cards, invitations, flyers, gift cards, and stamps. And I had only 5 months to make it all happen. 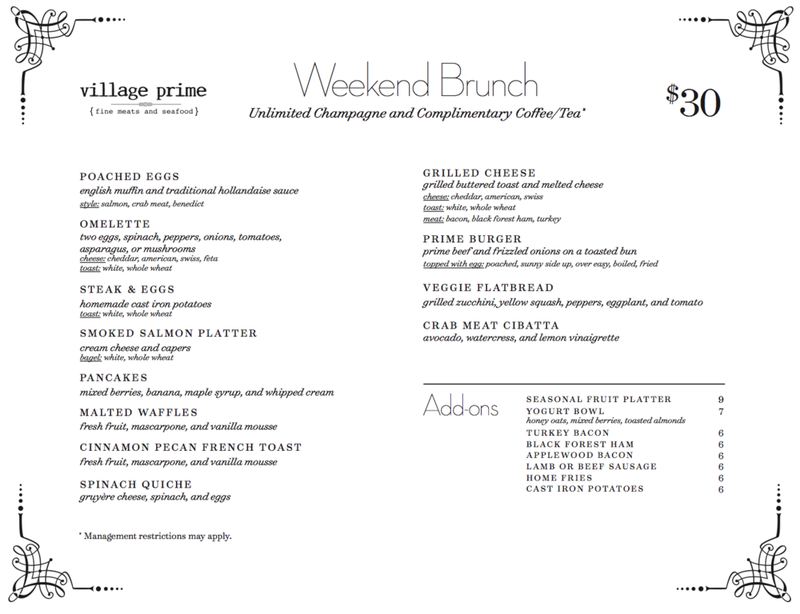 Village Prime was an expression of fusing the past with the present. It offered a balance of traditional cooking techniques with modern cuisine and served as a unique offering in the neighborhood. A new temple of modern cuisine with respect to traditional cooking techniques. With a simple formula of high quality ingredients and classic technique, we elevate American cuisine to a new pedestal. 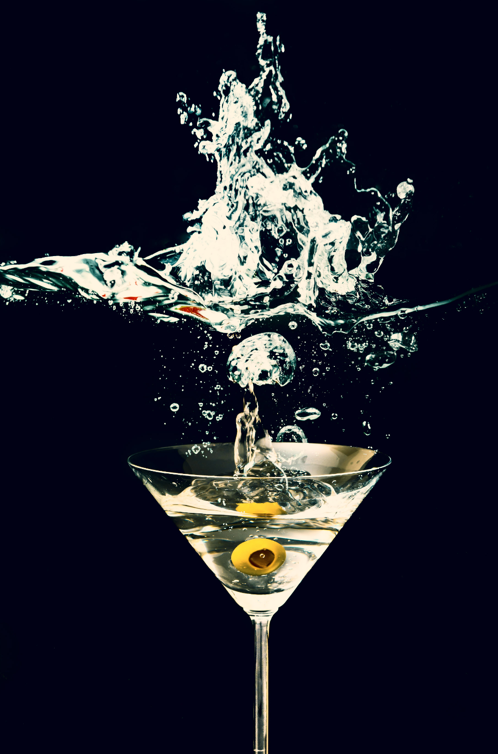 With this stirring premise in place, I composed the rest of the writing including every page of the website, food descriptions, social media posts pre-launch, and every other bit of collateral. 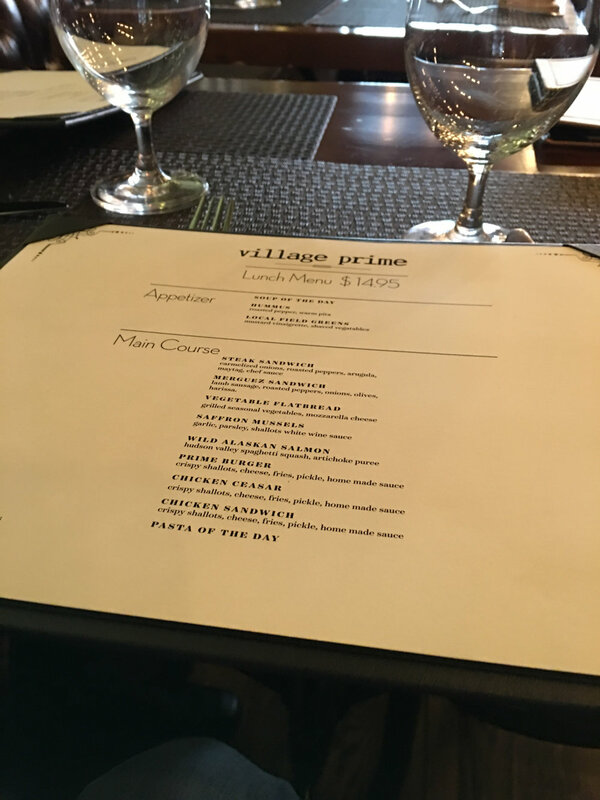 Village Prime had the personality of a classic steakhouse meeting modern cuisine. In branding the restaurant, I decided that I’d let the typography do all the hard work. I began experimenting with geometric sans-serifs like Neutraface. For the core font, I let Surveyor, another Hoefler & Co. suitor, do all the talking. It’s ligatures were perfectly weighted and luxurious curves that spoke volumes to its premium quality. 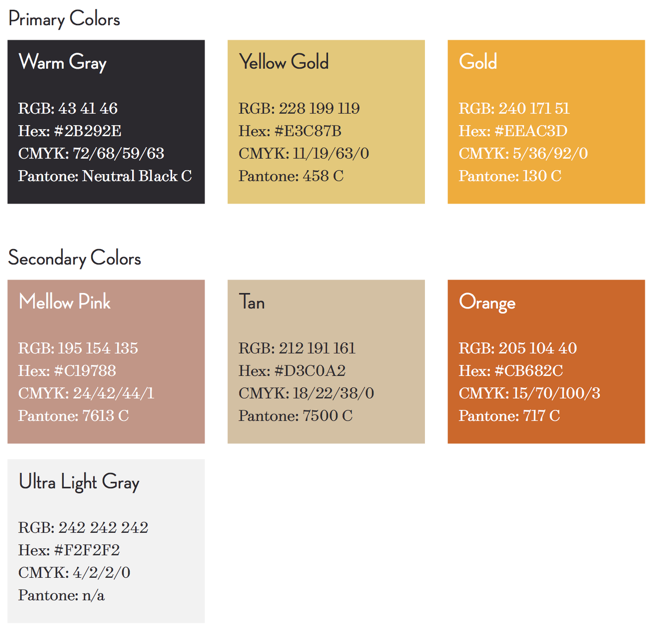 For the color scheme, I surveyed countless design websites and came across these paint cans that spoke the right tones, mirroring the wood finish of the restaurant. Continuing the movie star theme, I adopted graphical flourishes that accented the type. A blend of curvy lines and tiny circles completed the transition. The culmination of all the elements was a signature mixture of classic and modern. 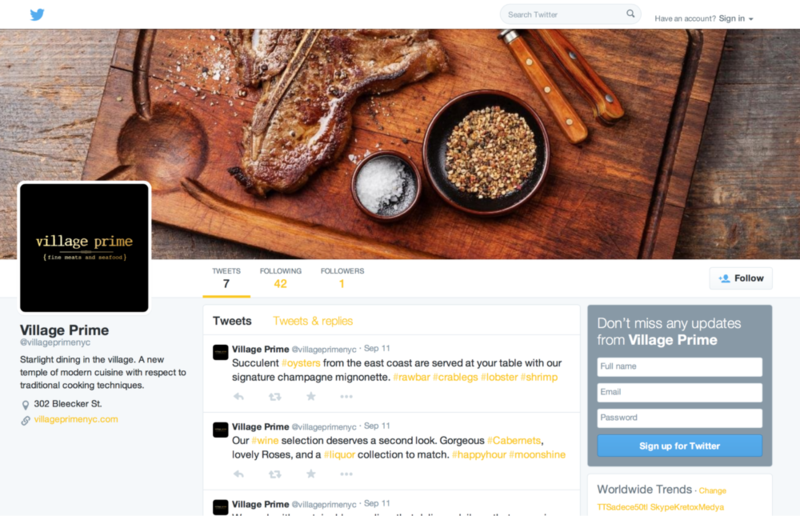 With ample whitespace and a simple message, Village Prime nailed its message. I wanted to capitalize on the Village Prime story with some striking photography. I came across an interesting photo of a tomato being dropped in water against a black backdrop. I took the image as a starting point and wondered, what if we could introduce this type of drama to other ingredients? However, the client wanted to take a literal direction and showcase steaks front and center. With a return to the drawing board, I took a pared-down approach. With the final design, I was able to maintain the brand identity while communicating the restaurant’s high quality dining experience. The branding guidelines laid the groundwork for me to develop the remaining collateral. I was responsible for the design, writing, research, development, and production of several projects. Each project had a cohesive look and feel, all tying back to the story. The menu was the primary touch point for the customer. 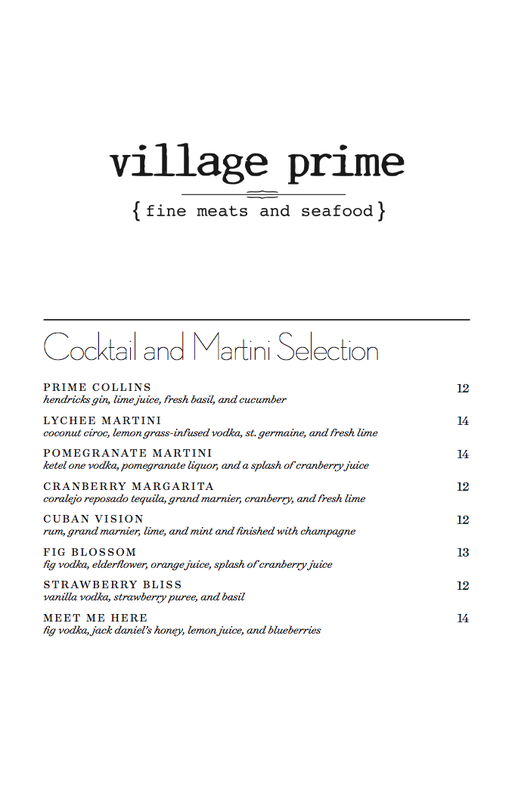 Since it marketed the offerings of Village Prime, it was important for me to develop a clear hierarchy with the various food and drink items. Categorization of offerings and special deals also informed my menu design. Initially, my designs incorporated illustrations and sharp type. We had many working sessions to hammer out the details. 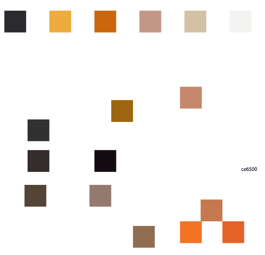 I also tested variations on boxes and containers for content. 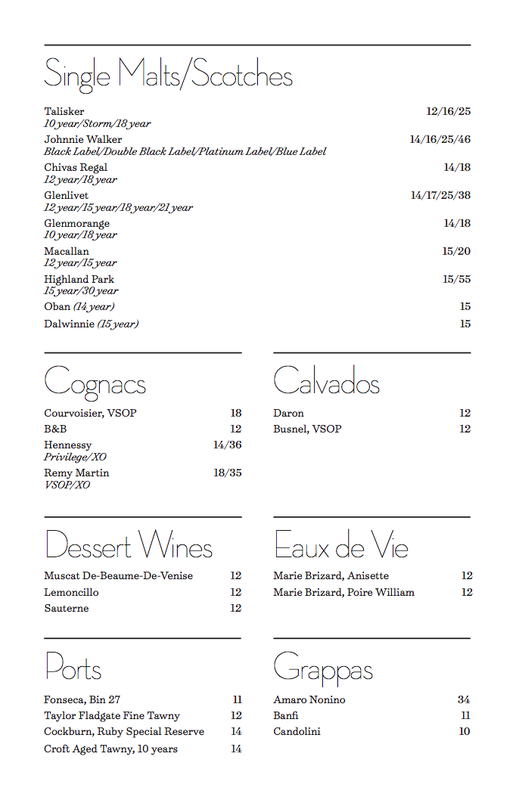 Using the menu as a template, I created the lunch and brunch menus, as well as the wine list. The end product was a beautiful reflection of the restaurant's identity. I used Squarespace as the backend driving the site. The design was a flexible, 8 column structure. I developed a site map, wrote all the content, online menus, reservation system, and graphics. I developed the Facebook, Twitter, and Instagram feeds. I also wrote the pre-launch posts describing the food and atmosphere. Walking to the launch party, we sat at a corner table and wharfed down delicious hors d'oeuvres. The business cards, the gift cards, the posters, the gold tinted window signage, it was a complete package. It was stunning to see all the hard work pay off. The general manager of the restaurant gave me a pat on the back and said, “Thank you. You did great work. It all looks so awesome. We couldn’t have done it without your help." Coalescing a long term version of the restaurant takes time. You need to meditate and process your design through multiple stakeholders. Building and iterating the ideas was the best way to shape the design. Initial layouts were designed Photoshop with the final layout a blend of Illustrator and Photoshop. Print and digital collateral was designed with InDesign. The website was built using Squarespace. Social media was managed using HootSuite. For organization and copywriting, I used Evernote, Draft, and Microsoft Word.